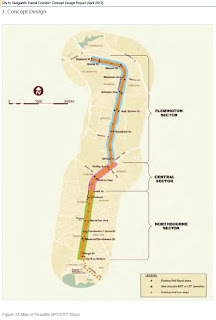 light rail linking city and Gungahlin. a good start but is it enough? comment your thoughts. Labor went to the 2012 election with a specific policy to develop light rail along the transport corridor between Gungahlin and the City. ACT Labor chose this initiative because after over a decade of analysis, investigations and reports into rapid transport for our City, it was time for our city to make a decision. To make a decision which was the best, long term choice for our city. Labor chose light rail for our city. Canberrans are concerned about growing congestion, they are frustrated by it, they know it has a direct impact on their quality of life, their productivity, their time with family and friends. Canberrans are concerned about costs, the cost of running a 2, 3 or even 4 car household, the costs of petrol, insurance and registration. They want better choices, better alternatives that provide convenient, reliable and fast public transport. Canberrans are also concerned about housing. Canberrans want more housing choices close to where they work, where they shop, where they use cultural, social, community and professional services. And they want more affordable housing. Canberrans are also concerned about our cities impact on the environment. They want smarter, greener transport which reduces pollution, noise and greenhouse gas emissions. They want transport which is sustainable. Labor understands these concerns, we know we need to take long term decisions to respond to them. That is why the Government has chosen light rail as the best choice for our city. It is why we announced and campaigned on the development of the Capital Metro project. It is why in this budget we are delivering on that commitment, investing in the establishment of the Capital Metro Agency and laying the foundations for the design, procurement and delivery of this project which can transform the way our city develops into the future. 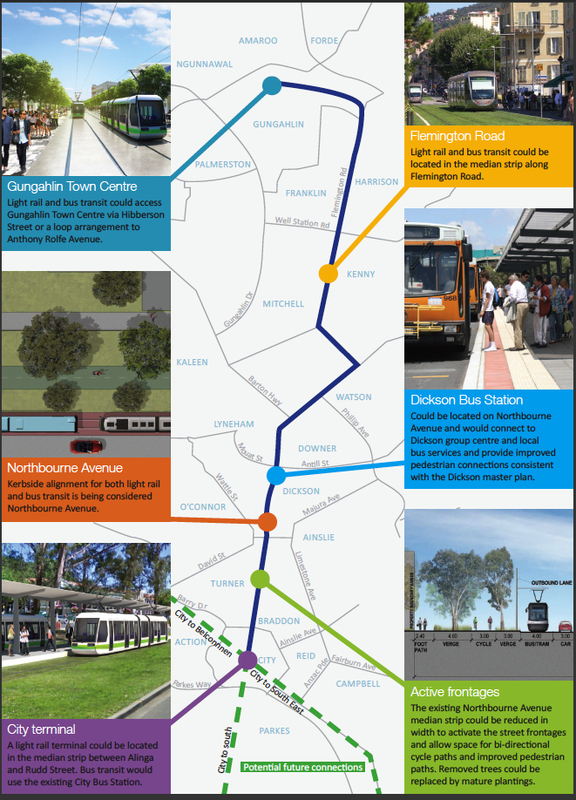 Development of Capital Metro project will help tackle Canberrans concerns about congestion. 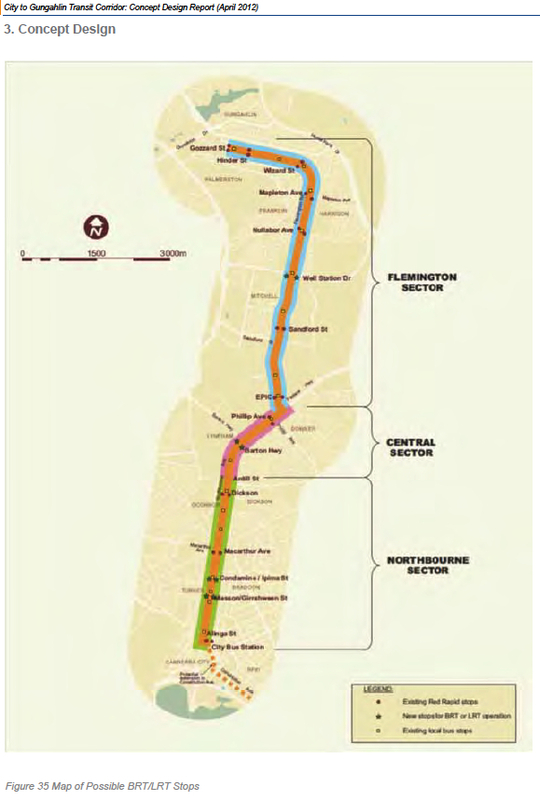 Analysis undertaken as part of the development of the Gungahlin to City transit corridor business case demonstrates that currently peak period delays on Northbourne Avenue are estimated at 16 minutes from Gungahlin to the City. Put another way this equates to a morning peak journey time along the corridor of 26 minutes southbound and 20 minutes northbound. By 2031 without dedicated transit in place, travel times in the morning peak will be 57 minutes southbound and 27 minutes northbound. That’s right, in less than 20 years Gungahlin residents will face travel times of nearly one hour to get from the Gungahlin Town centre to the City.